9228 Belding Dr Sanibel, FL. | MLS# 219007131 | Southwest Florida Residential Real Estate for Sale. Beautiful remodeled Sanibel home offering a coastal modern feel. 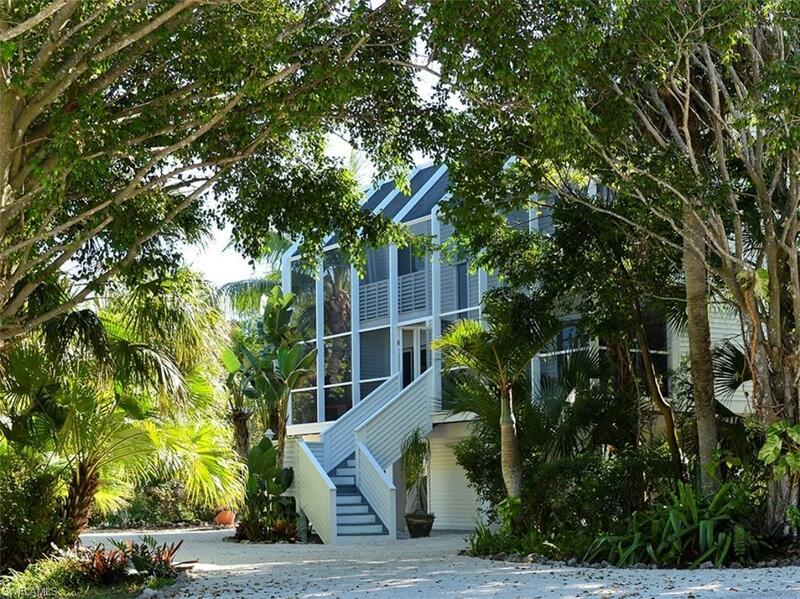 Open, airy and light, this turn key island residence is ready for the next owner to move right in. Stunning European style kitchen. Miele cooktop & hood. New (LEED green) flooring throughout. Great location to beaches, bike paths, the Sanibel school and REC center. Impact windows. Beautiful sliding pocket glass doors in every room, that open up to the gorgeous screened in porch showcasing the tropical landscaping. Wonderful, expansive master bedroom includes a lovely sitting area or place for a desk and a walk in closet. Lots of storage and a workshop. Great value for a superb island home with a terrific location.